Most people don’t equate the silly semantics of Dr. Seuss with WWII. He did, however, spend part of his career penning political cartoons both as a civilian and a captain in the U.S. army during WWII. 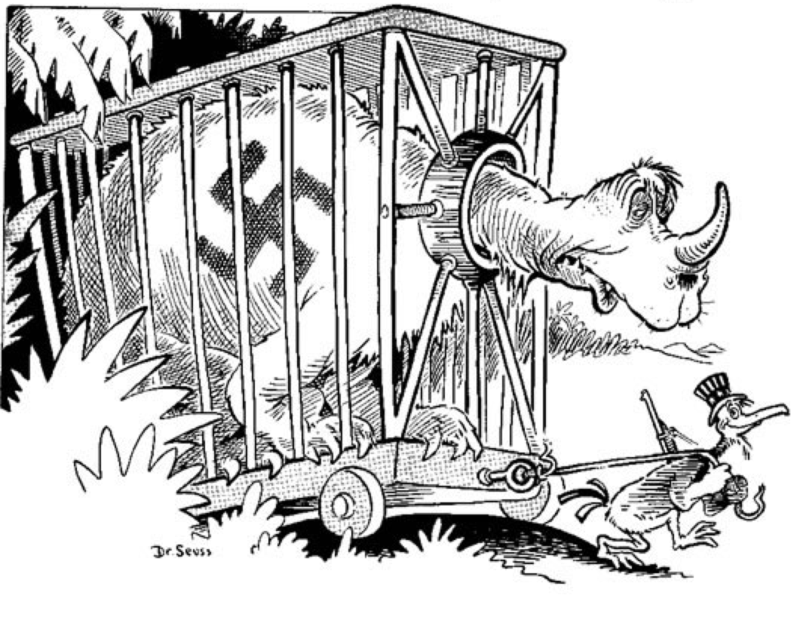 In the early years of the war, Seuss (aka Theodor Seuss Geisel), drew over 400 political cartoons for a left-leaning New York newspaper called PM denouncing Hitler and Mussolini. His cartoons strongly supported FDR and at the same time ridiculed and railed against the American Japanese, for which he later apologized. In 1943, he joined the U.S. Army and headed up the Animation Dept. of the First Motion Picture Unit of the U.S. Army Air Force where he wrote and produced several propaganda films including: • Your Job in Germany • Our Job in Japan • Private Snafu • Gerald McBoing-Boing … and others.